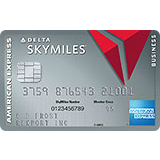 The American Express Gold Delta SkyMiles Business Credit Card is one of three credit cards offered by the joined forces of American Express and Delta Airlines. This particular card has the lowest annual fee (only $95) and maintains roughly the same rewards and benefits as the other cards that have a much higher annual fee. One of the other major benefits of this card is that the first year after activation will be free as they’ve waived the annual fee. With the rewards program, cardholders will earn 2 points for every $1 spent on Delta purchases. An additional 30,000 points will be awarded to you after you spend at least $1,000 within the first 3 months of activation. These benefits and the reduced annual fee may not be sufficient enough to make this card a valid option for larger businesses with greater expenses, and to those individuals representing bigger companies we would recommend one of the many other business rewards cards on the market today. 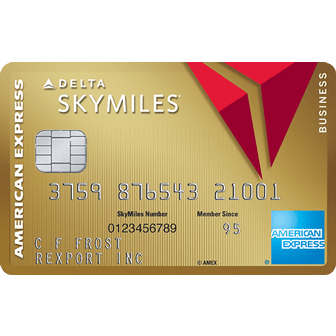 The American Express Gold Delta SkyMiles Business Credit Card is truly only suited for individuals that have exclusive interest in traveling with Delta and want to earn reward miles that they can exchange for reduced travel costs. If you are interested in this credit card, follow the steps listed below to complete the online application process. Step 1- Click here to access the homepage for this particular credit card. Just below the Welcome Offer, click on the Apply button to head over to the online application form. Step 2- This first page of the application form is where you’ll need to give your business information. Start by entering your business’ Email Address followed by the Legal Business Name, Business Name on Card, Business Address Line 1, Zip Code, and Business Phone Number. Step 3- Use the three drop-down menus to indicate the Industry Type, Company Structure, and Years in Business. Continue by typing in the Number of Employees, Annual Business Revenue, Estimated Monthly Spend, and Federal Tax ID. With all of your business information supplied, click Continue to proceed. Step 4- Here is where your personal details must be provided. In the empty spaces, give your First Name, Last Name, Home Address Line 1, and Zip Code. 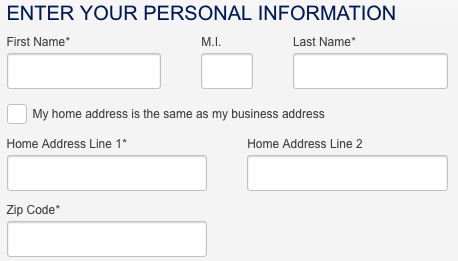 Step 5- Next, enter your Home Phone Number, Social Security Number, Date of Birth, Total Annual Income, and your Delta SkyMiles Number (if applicable). 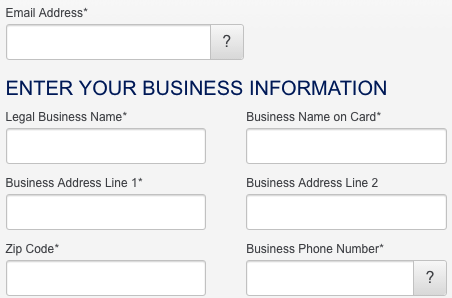 Step 6- The last thing to do on this page is to let American Express know where they should send your bills. Select either Business or Home and click Verify Application. Step 7- Scroll down towards the bottom of your screen and you should see the terms and conditions. 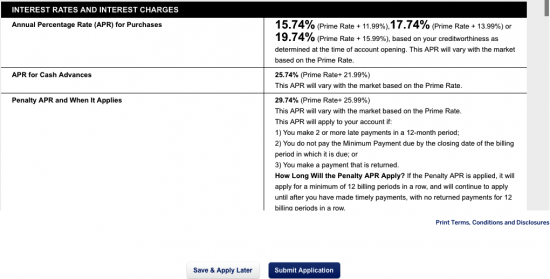 Take a moment or two to look over this document to ensure that you agree with the interest rates, fees, and other pricing information listed within its contents. When you’re ready to proceed, click Submit Application to have your card request sent in to American Express for review. That is it, you’re all done! 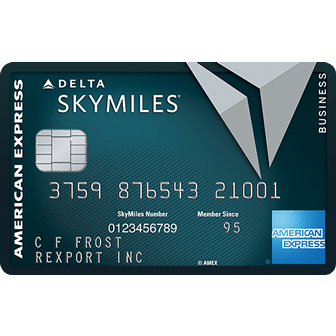 You have now completed the application process for the American Express Gold Delta SkyMiles Business Credit Card. We want to thank you for using our services today and we wish you the best of luck with your new card.